Follow our computer support for cross-platform Web communications and visibility. We offer a range of high value computer support services coupled with proximity to ensure rapid and efficient interventions. Repair and maintenance of computer hardware and software, whether a PC, server, a network resource or the whole system infrastructure. Consultancy, Conception, Implementation, Configuration possibility for follow-up computer support services ansd equipment.. Solutions best suited to small businesses requirements. Data Security and a comprehensive backup strategy are fundamental ongoing operations. We can advise and put into place the best strategy that does not impact on system performance. By ensuring the continuing smooth running of computer equipment allows our clients to stay focused on their core business activities knowing that a professional is ensuring good practices to high standards with rapid response times. In overseeing the performance and maintenance of system resources, operating under Windows and Linux, we will intervene, on-site, both on your hardware and software assets. All of our computer support services; Analysis, maintenance, repairs and management, are undertaken with utmost attention to data security. Systematically updating system drivers and the operating system, together with the applications that run under it, the system BIOS and firmware, where appropriate; is an essential step towards a high level security of any computer setup and its infrastructure. Your system will be less vulnerable to unwanted intrusions whilst operating optimally. The risk of applications freezing, blue screens and system response time will equally be minimized. When combined with a comprehensive program of protective measures, such as a good Anti-virus, you can confidently consecrate your time to your primary activity, be it for professional, voluntary or leisure purposes. we'll be delighted to accompany you throughout from developing ideas to realising the artwork; so that it is relevant and functional to your public image. We can help you with this essential strategy too. Network Configuration: Business or domestic Within a domain or WORKGROUP. Network Configuration: VPN (Virtual private Network) computer to computer, site to site, VPN configuration for secure surfing from a public WIFI access point. Benchmarking - defining the perimeter of the proposed site. Composing the optimisation of the presentation, of the site contents, for the target market/audience employing a unique style and professional/private image using site auditing. Template - Defines the various zones of a page, for images, texts, menus and features. The definition of the 'Graphical styling'; the unique and distinctive site appearance. With the template we can see what the site will look like. Graphics - Visual effects, Images, Photographes, Icons, Panels used in the site and optimised for the web. Web Development - Building a site through the codes and styles, previously defined by the graphical styling rules and template design. Adding the visuals to the designated places (within the text, surrounded by text or in between texts/zones). Integration - additional functions and extensions added to the site in order to improve the visitors experience and ease of communication. Google analytics - Placed within the site to produce a large range of information and statistics about the type of visits received and the visitor's behaviour. Web Hosting - Putting the web site online in production. The choice and level of service used, choice and reservation of Domain Name. A computer system finds it's true potential when linked through the local network. For example, the sharing of collaborative folders and files, centrally stored, will facilitate the security of critical professional data; whilst coordinating their real-time synchronization following any modifications. Whether it's a domestic setup for private use, or an integrated DOMAIN, or WORKGROUP, within a business infrastructure, your networks deserve the best security, computer support and configuration. As such, being universally functional, rapid and accessible for your unique requirements and those of your clients. Deploying new operating systems, or programs, Including the updates, across your network, will, both, save time and increase productivity of your colleagues and staff. This also applies for your private installation, at home, for any voluntary charitable activity or other type of service such as a Wi-Fi HOTSPOT or Cabled network; not forgetting an access to this network, completely secure, from almost anywhere. With an easy acces to teamwork documents stored in the cloud allowing team members in different localities to safely continue their contributions. The structure of Internet is such that, by it's conception it is practically indestructible, being a meshed network, which self regulates when a pathway is lost, even with natural or human provoked events the World Wide Net remains in operation, globally. Therefore, with this built-in reliability and it's ubiquitous presence at home and in the workplace, that Internet has become unavoidable in everyday life. the Cloud is an on-line storage area, available through the business network and/or through the internet. Consisting of both applications, such as Office 365 or Adobe cloud computing for graphic designers, or specialized business applications, and their documents. Wherever there is an internet connection, be it Wi-Fi or cabled, for those who are on the move, work outside of a fixed office or work in collaboration with a team. They’ll always be able to have up to date documents and continue to work from anywhere. The offer of cloud services is vast with leaders such as google drive, Micosoft Onedrive or Dropbox amongst the most renowned. This storage area, also called ‘cloud computing’ consisting of volatilised resources (not being installed on your computer) that are secure. This allows for a filtered access, permitting different types of intervention to modify or to simply access a particular file. Flexible ressources, always available through a secure internet connection, from anywhere, on your portable, tablet and smartphone without having the worries of a computer hic-up resulting in document integrity being compromised. Together with ReparActeurs - Valuing the recycling of peripheral and computer products, in order to undertake repairs instead of replacements for new. 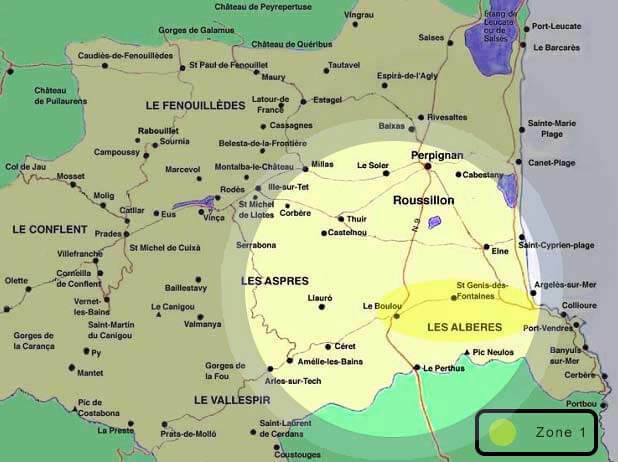 try the Speakeasy IPA and the uniqueCazdedi blond "Cervisia débilis"
For each Km after this zone : 0,70 € / km. Siege : 66400 Oms, Pyrenées Catalanes.